14.5 oz bulk container of 31 X .47 oz servings. 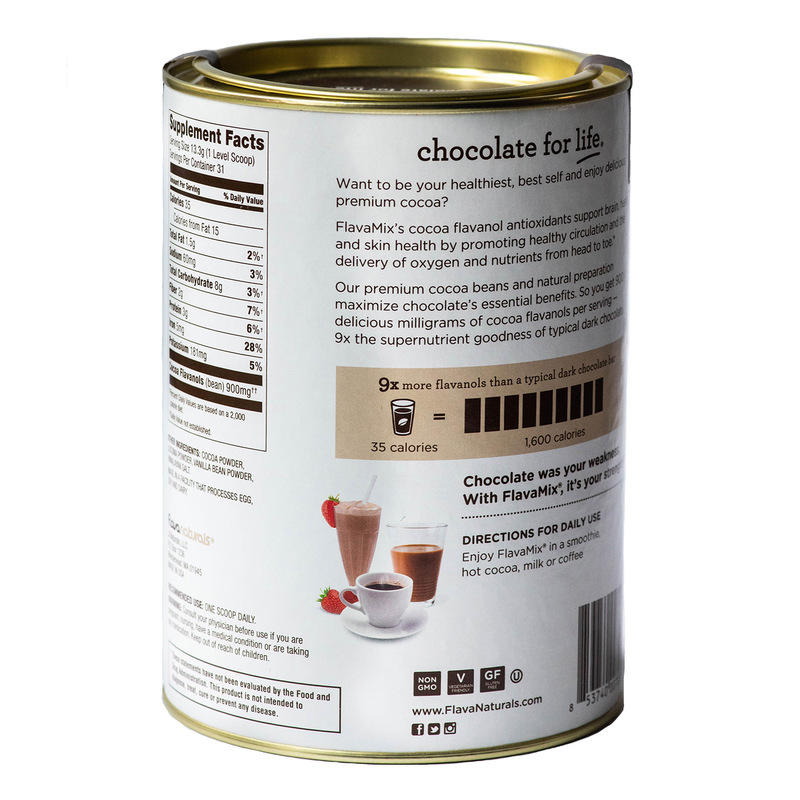 Introducing a bulk, more eco-friendly packaging option. 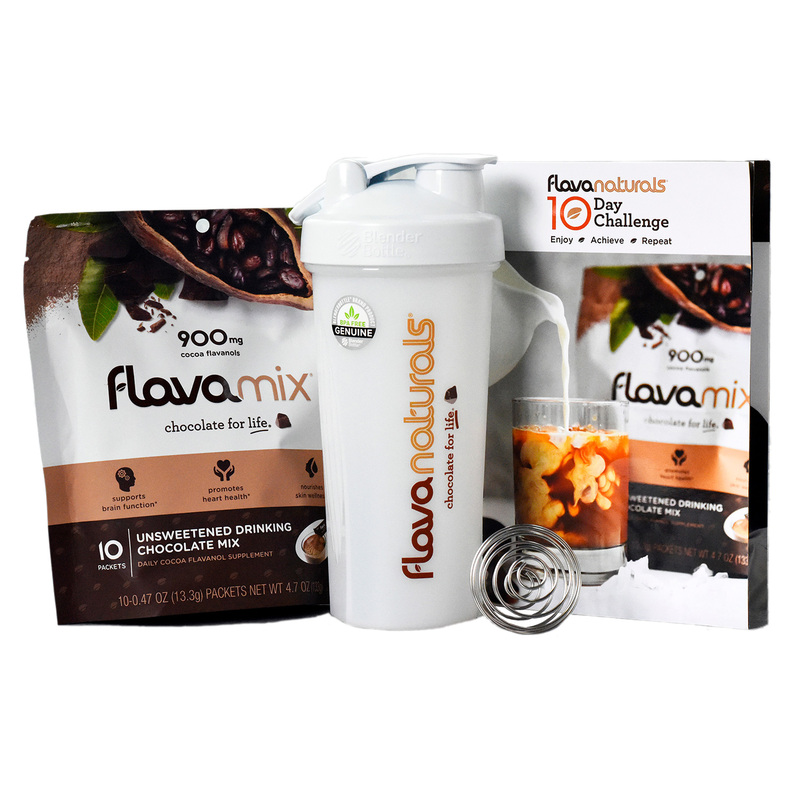 The new FlavaMix canister contains 31 portions with the same 900 mg cocoa flavanol antioxidants per serving – perfect for daily home use. 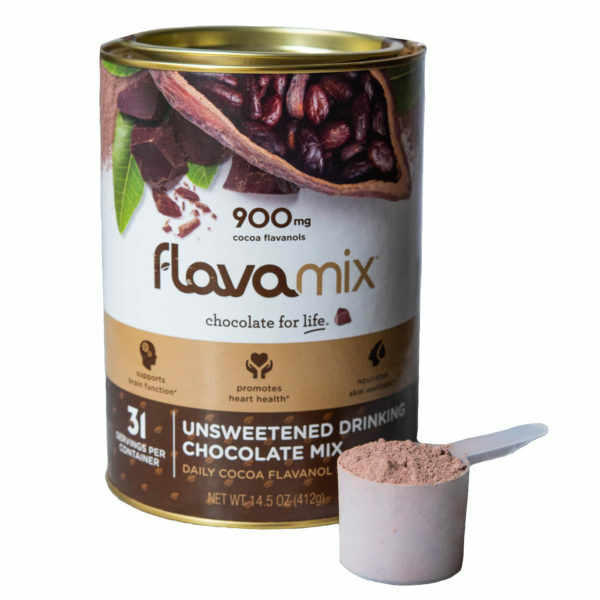 The canister comes with a serving size scoop, making it easy to add a boost of FlavaMix to your favorite smoothie, protein shake, oatmeal or yogurt. 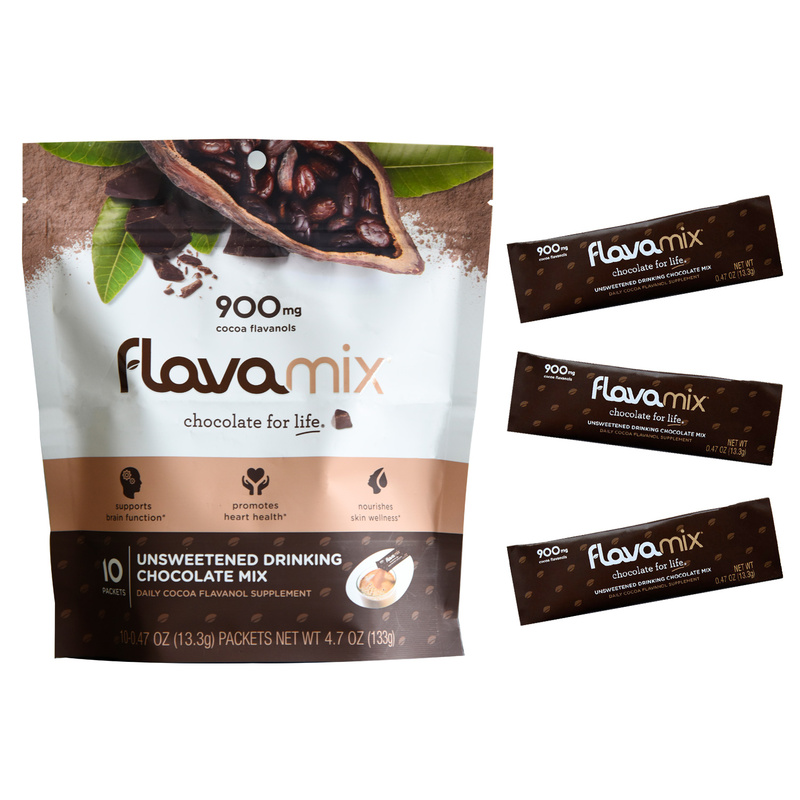 Check out a few of our favorite recipes using FlavaMix here. 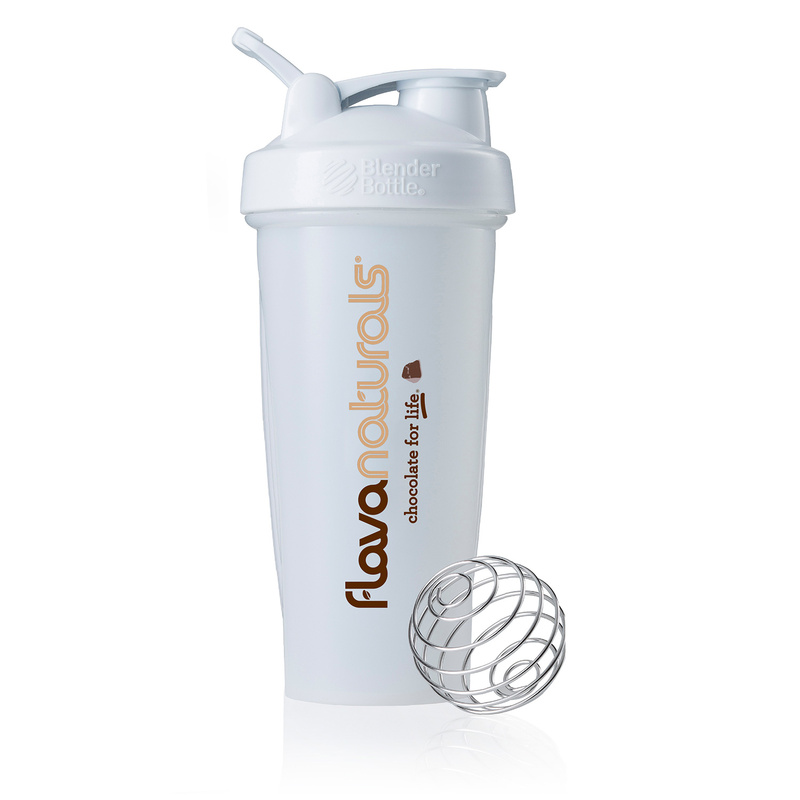 Qualifies for free shipping on standard/one time purchase or FlavaClub free auto-ship. 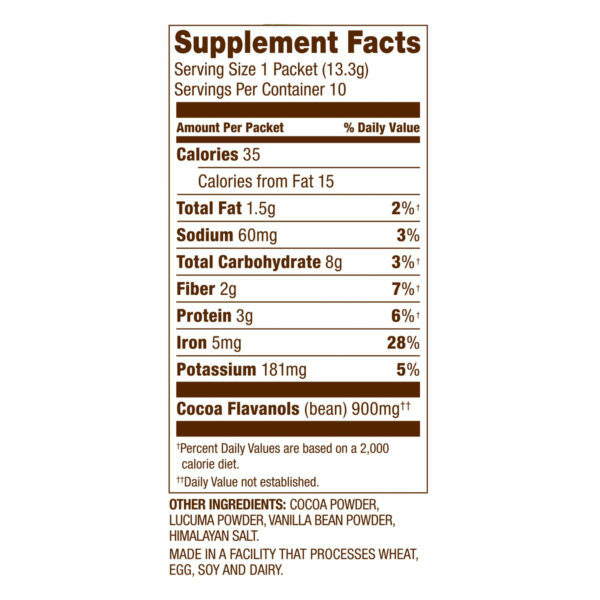 FlavaBars® are delicious chocolate bars that contain 500 mg of cocoa flavanols and 170 to 190 calories per bar.